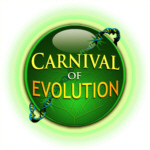 This entry was posted in Biology, Blogging, Defending evolution, Education, Evolution, Natural selection and tagged Biology, blog carnival, Blogging, Carnival of Evolution, evolution, Marc Srour, Teaching Biology. Bookmark the permalink. Love the name of the blog.!! I’m a geologist and in the oil patch we have a similar saying that I like to equate with ones chances of having an intelligent discussion when talking to a creationist. One shouldn’t try to teach a pig to read. Its a waste of time, and it annoys the pig. I get to live in Texas, which owes much of its wealth to its geology and sedimentary basins. So, naturally, the good people who have benefitted most from that, mostly the GOP, have chosen to push creationism in a major way. Sure, that makes sense. NOT. Its a lot like talking to a stump to contact SBOE in Austin. Ultimately its about the power and taking advantage of the reality that many people don’t have a grasp on scientific principles. Texas is an intyersting place to be a geologist. It surprises me that the many geologic and geophysical organizations hdqtrd in Houston and Dallas haven’t done anything to stop the onrush of ignorance at SBOE Texas and in Texas governement but, I’m sorry to say, they have been amazingly placid about it. Like many people, they’re not really paying attention while our nation is damaged by creationism. Or, they think it will dissipate as education expands and improves. I’m not so sure at all about that. Anyway, I appreciate the blog, its terrific. Oh. I dove hunt sometimes (its stupid because theres not much worth eating on a dove and you have to shoot ALOT of them to make a meal, and then, its still a freakin pigeon.) But anyway,. #7 birdshot, good stuff. Up here on the 44th floor in the Txxxxxjjjsss Trdscc building downtown Dallas, one gets to see peregrine falcons swooping across the skyline occasionally. No pigeys around at 250′ above the ground. Pigeys are stupid and they can’t fly with the raptors. 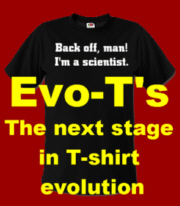 (Not for long anyway) So it is with creationists. I agree about not debating them. And, thats also why they’re not in any science departments at acreditted universities. No flying rats allowed. Creationism. Because reading one book over and over is a lot easier than studying a bunch of hard ones. Thanks Will. I edited your comment a bit (rejiggered the paragraphs a little), I trust doing so did not change your meaning in any way. If it did let me know and I’ll make any changes you want.